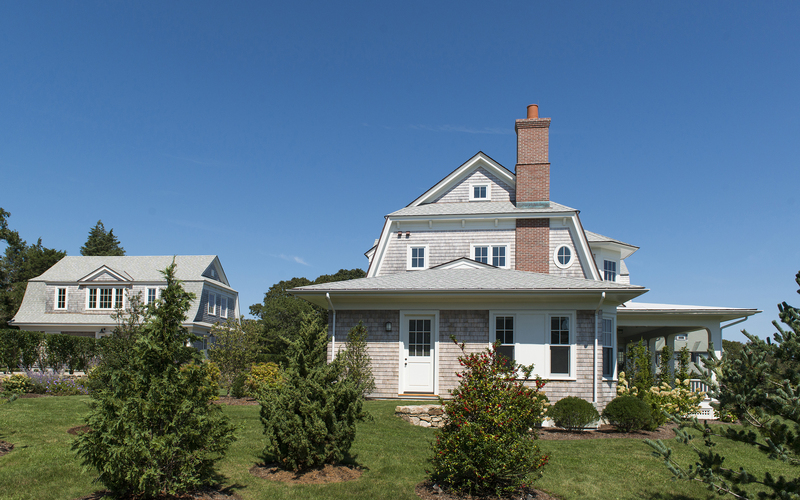 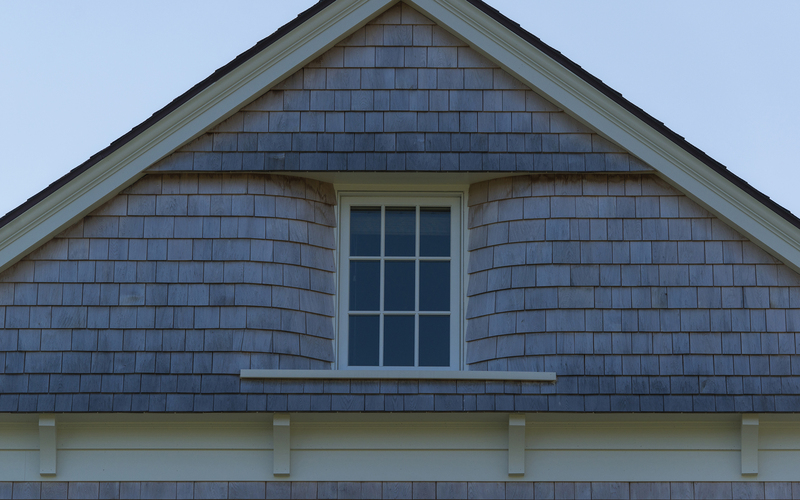 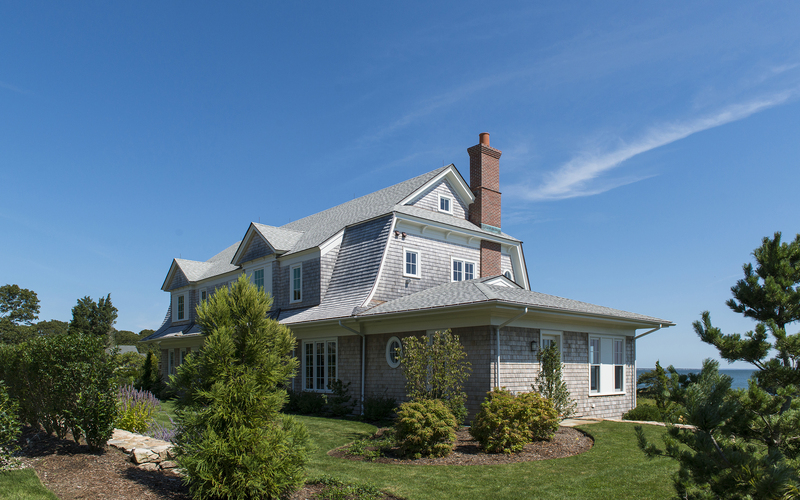 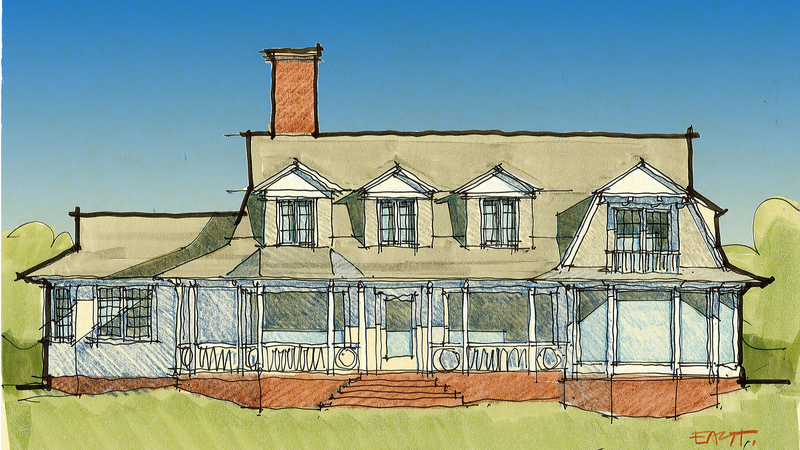 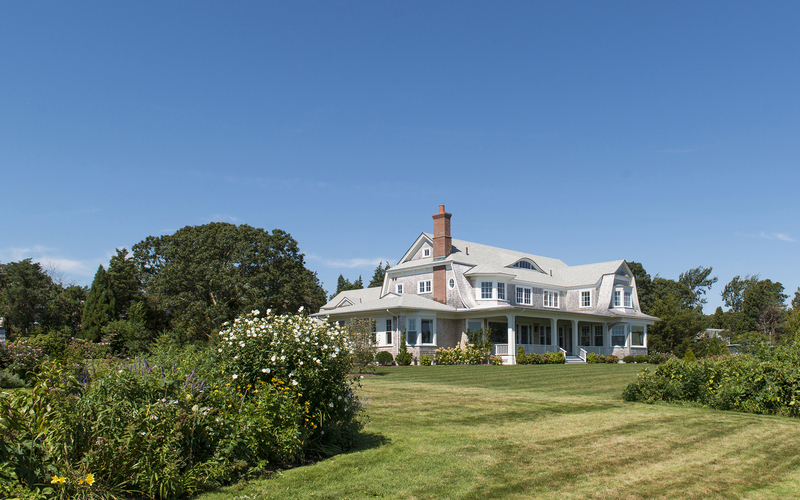 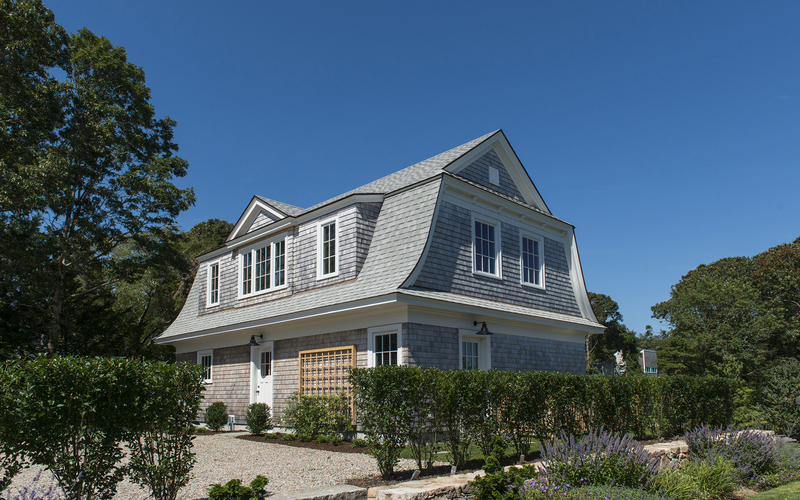 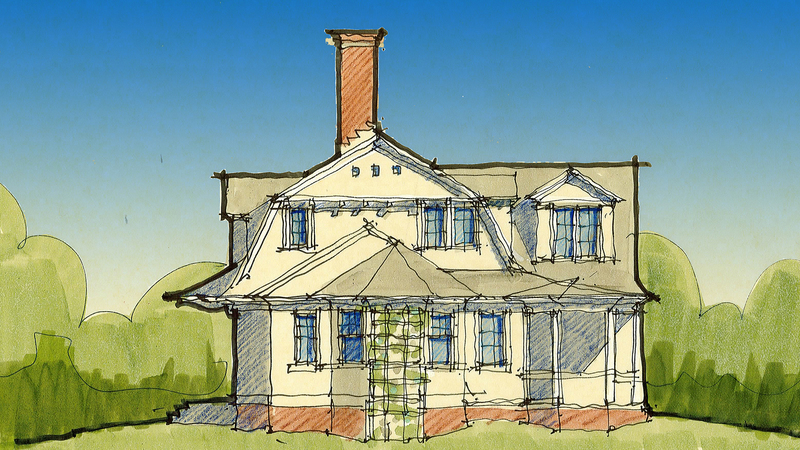 A new shingle style five bedroom house with two bedroom carriage house along the front row of houses facing the ocean in a summer community on the south coast of Massachusetts. 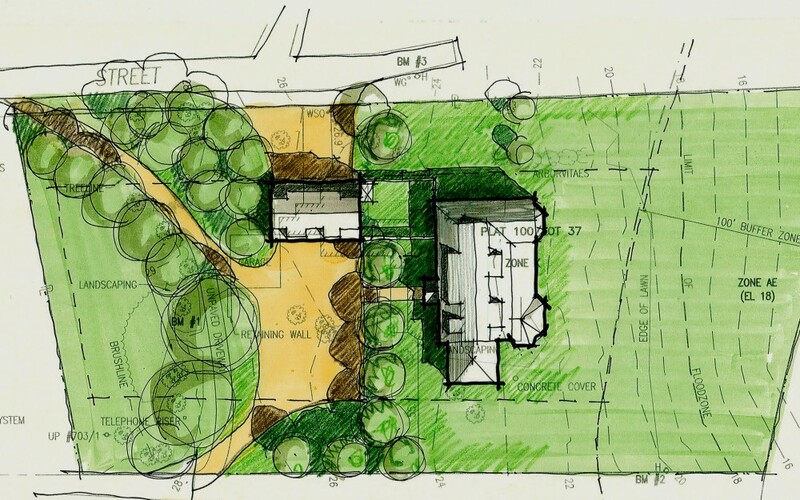 The carriage house and main house create a courtyard at the end of the approach. 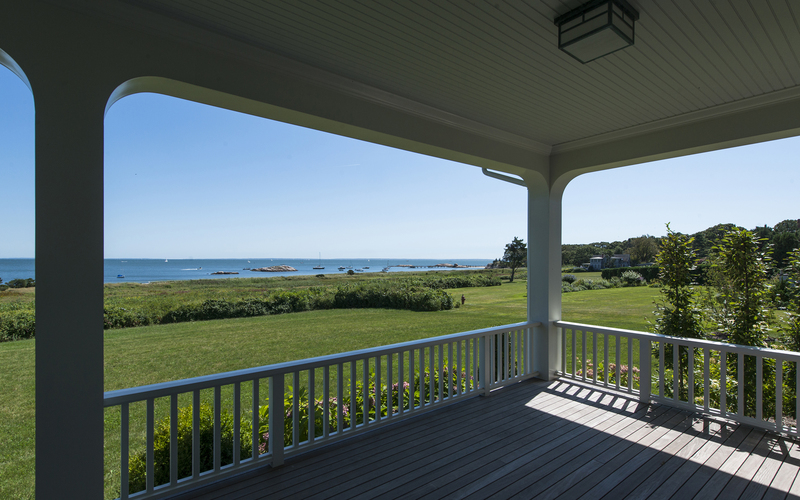 An expansive porch on the rear facade offers a space to enjoy beautiful water views.